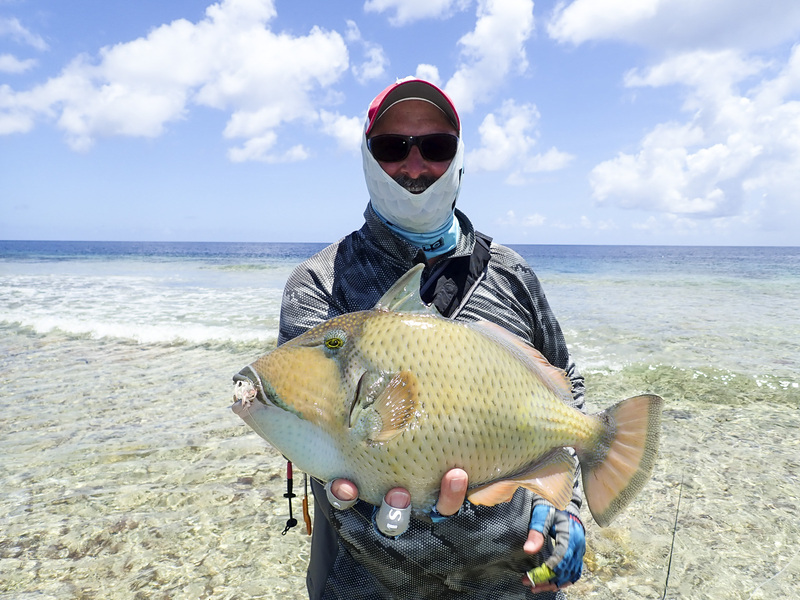 Astove Atoll Fishing News - 104 cm GT landed near the Wreck! 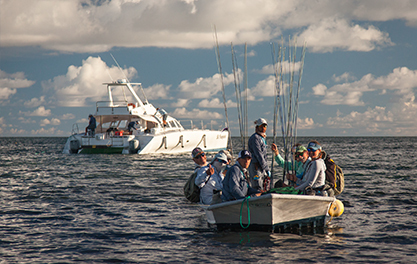 Optimal tides coalesced the steady weather patterns making for excellent fishing in all areas of the atoll. 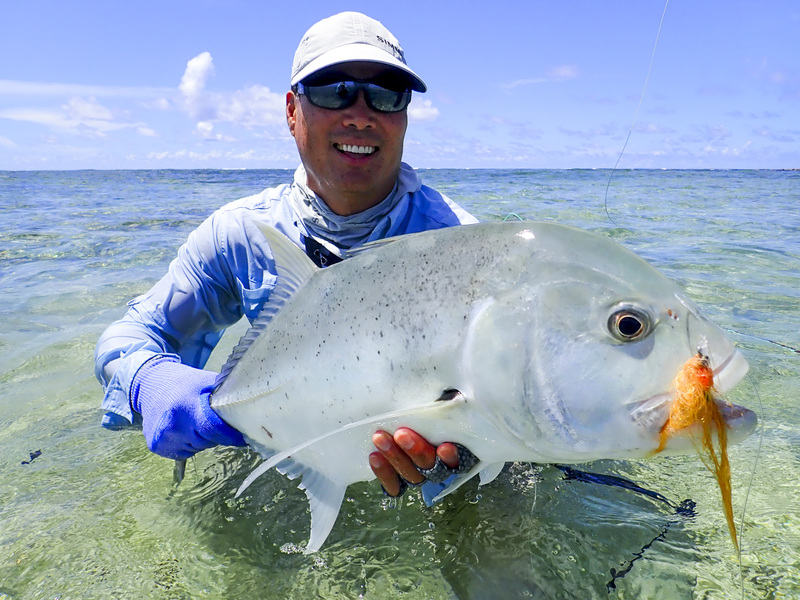 Giant trevally was found both outside and on the flats with the largest fish being caught by Joe Spear near the new wreck measuring 104 cm and a 97 cm landed by Allen Tochihara. 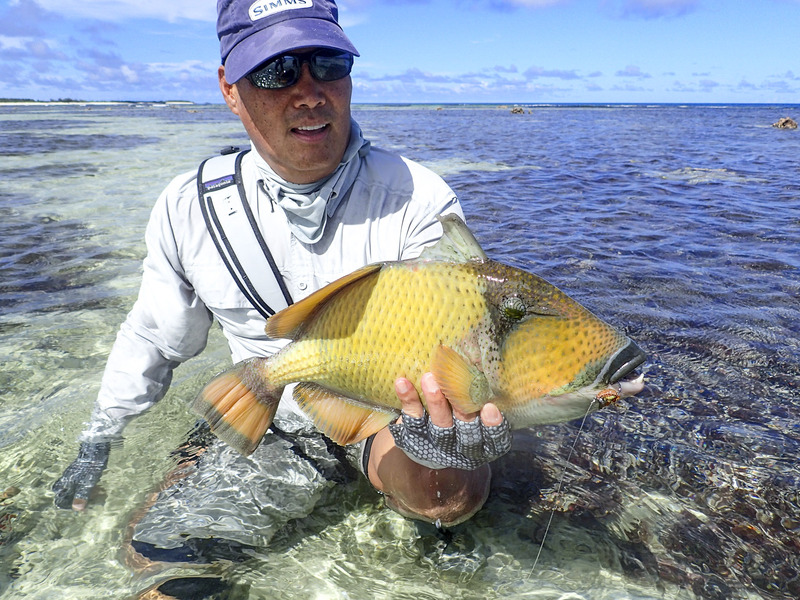 The Western surf of the atoll provided the best action as anglers mainly chose to target Triggers and plus sized Bonefish. 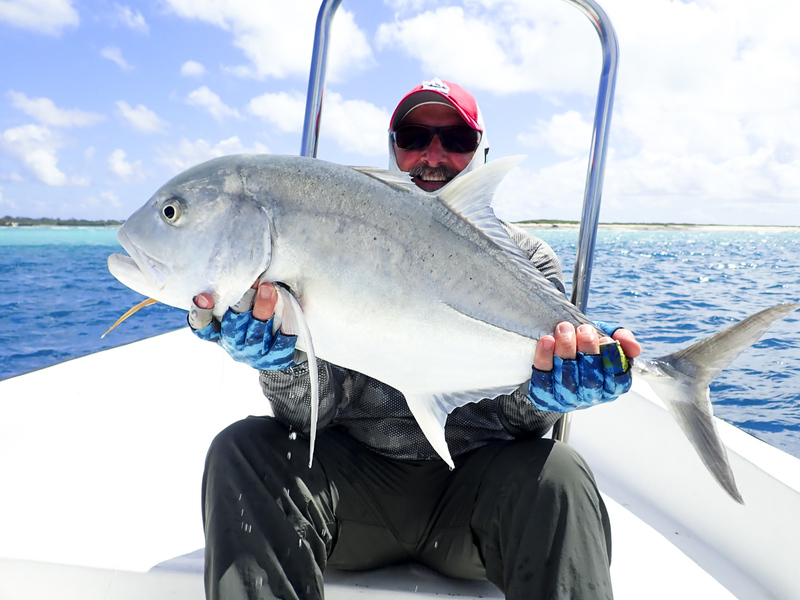 Earl Santee managed two ‘Flats Slams’ consisting of GT, Mustache Triggerfish and Bonefish within sight of the lodge while his fishing partner Allen joined in on the Triggerfish pursuit landing two for the week and an impressive 65 cm Bonefish in the lagoon. 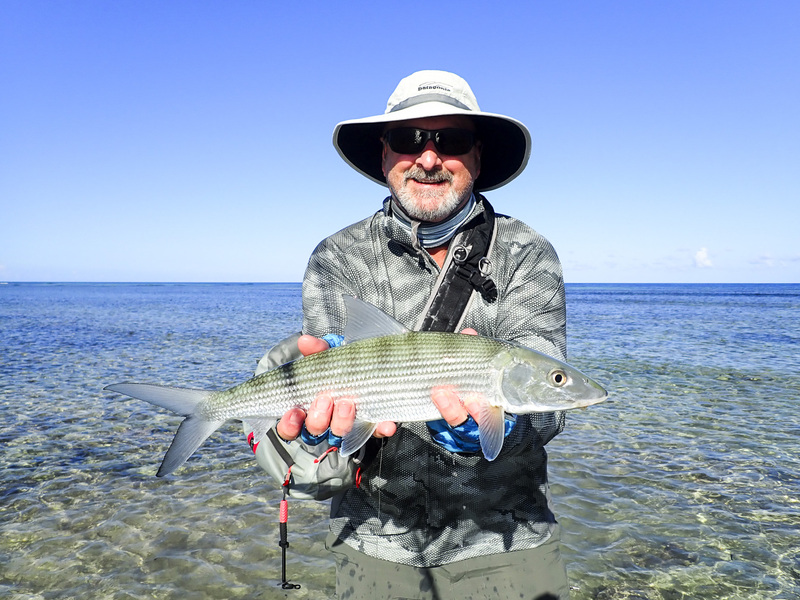 Ed Aremia met his goal for his trip on the last day capturing a 68 cm Bonefish at Paulies. 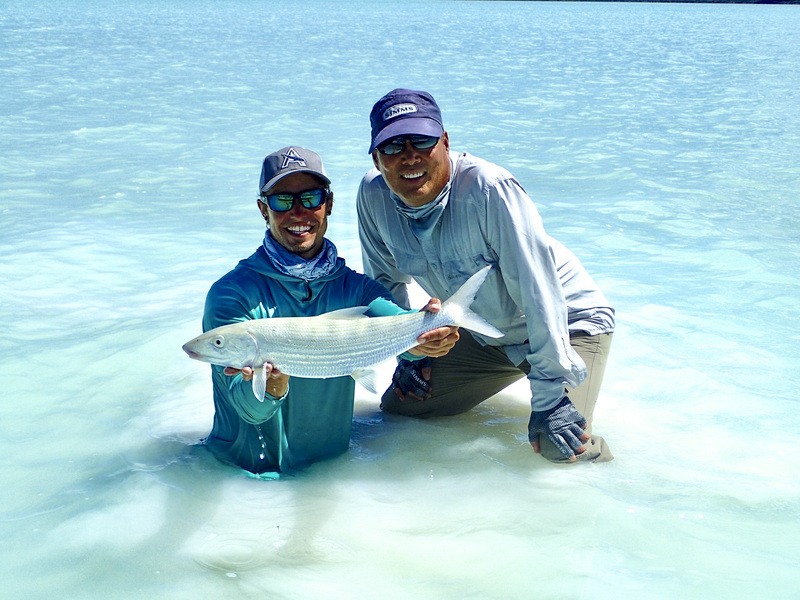 The lagoon had excellent Bonefish opportunities as anglers who chose to do so recorded impressive catches of 20 or more. All in all a superb week of fishing on Astove Atoll and we are looking forward to having these guests back out here with us in the near future. Tight Lines from the Alphonse Fishing Co. Guides on Astove Atoll!